When fire struck the home of Wenatchee’s Savannah Melton last fall, the Red Cross was immediately there to help. Melton was already more familiar with the organization than most. Her employer, Circle K, and its employees have been longtime friends and supporters of the American Red Cross. Having knowledge of an organization is one thing — directly benefiting from its programs is another. “I don’t know what I would have done without the Red Cross,” said Savannah. As assistant manager of the Wenatchee Circle K, Melton was at work last October when she got word that the home where she lived with her two children, three others, plus two dogs and a cat had caught fire. No one was injured in the blaze that broke out in a laundry room, but the four-bedroom home was no longer inhabitable. Savannah said Wenatchee’s disaster response team contacted her that same afternoon offering assistance. 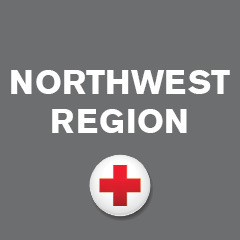 The Red Cross responds to emergencies like home fires multiple times every single day. From June 2016-July 2017, the Northwest Region alone helped more than 1500 families with post-disaster relief. Savannah and her children have found new housing in the months since the fire, and she maintains a positive outlook. “Life’s still a bit of a mess, but we’re surviving,” she said. She has shared her Red Cross experiences with her Circle K co-workers and fellow managers, reaffirming the partnership between the nationwide convenience store chain and the American Red Cross.